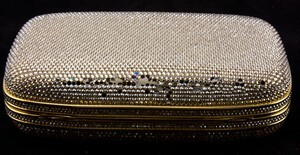 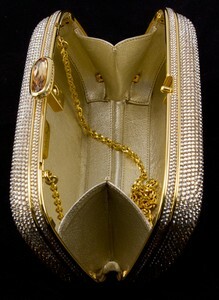 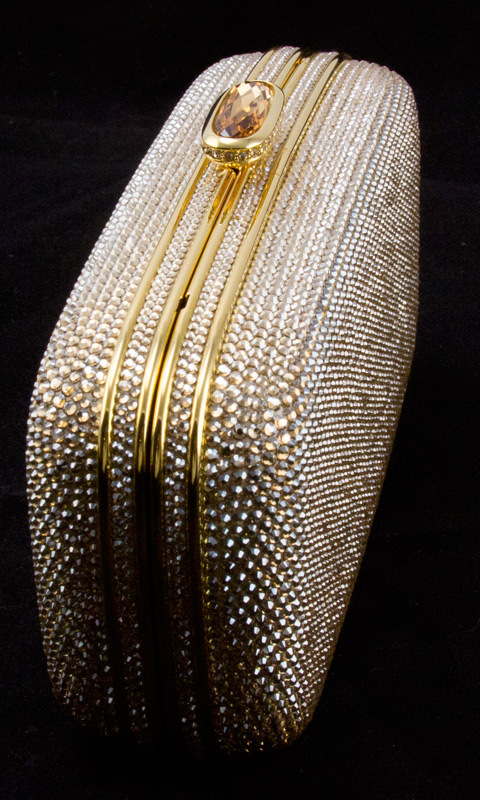 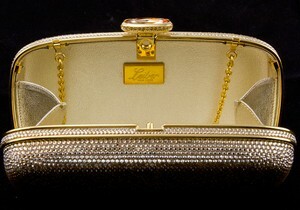 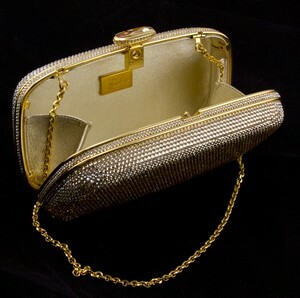 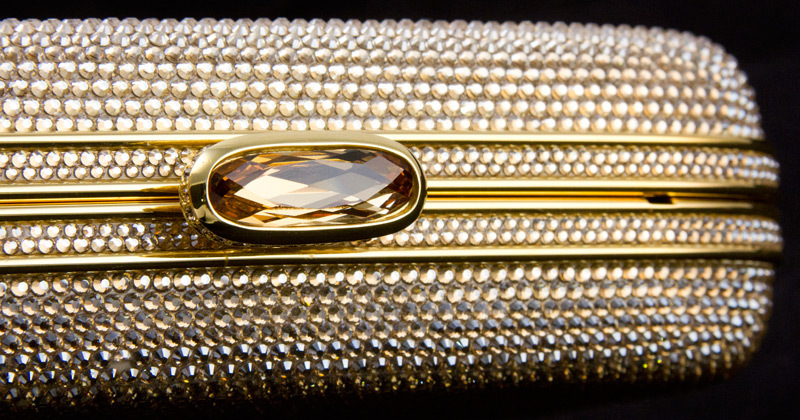 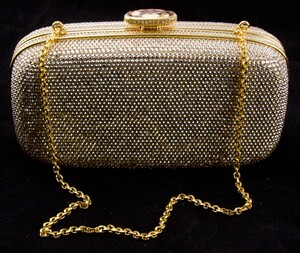 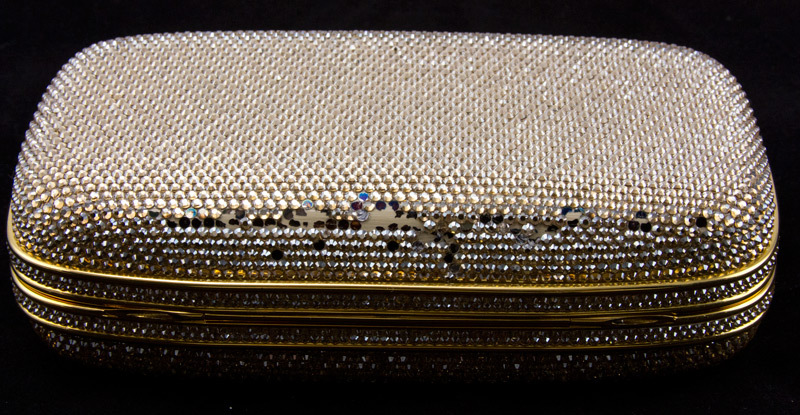 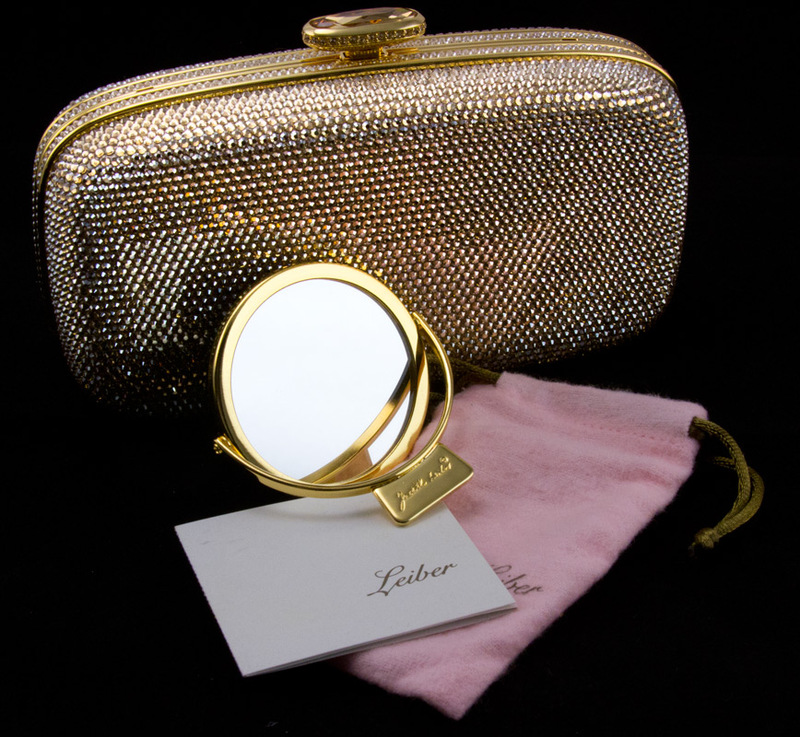 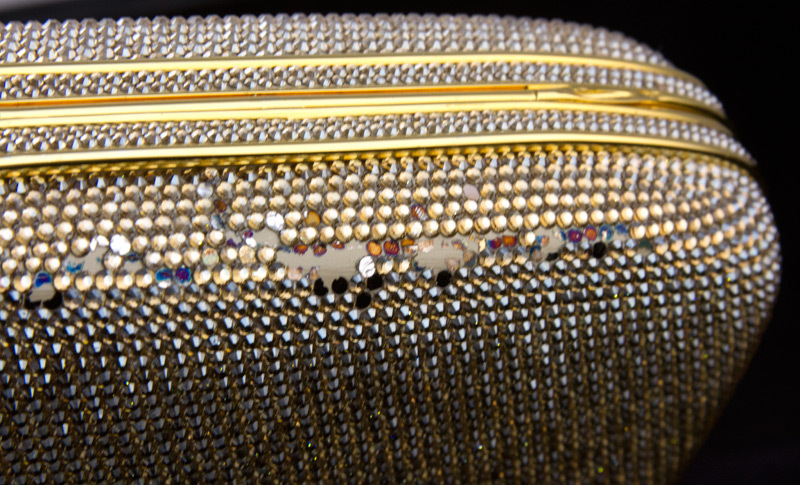 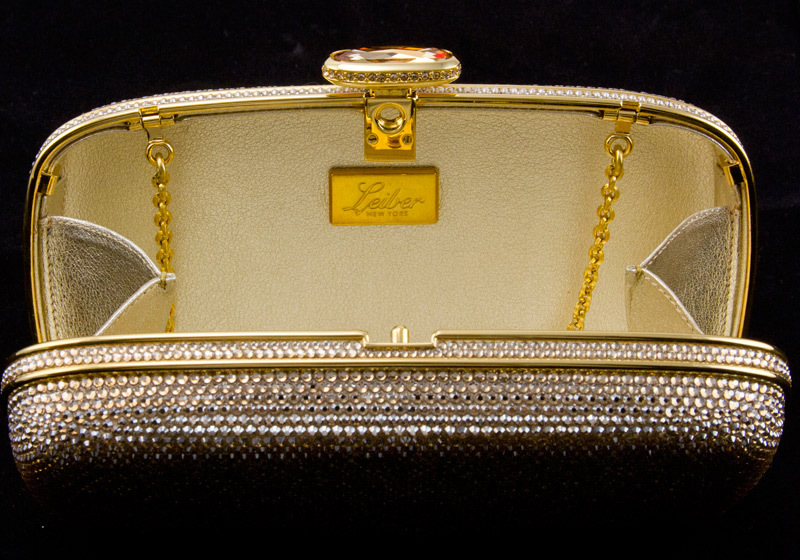 JUDITH LEIBER Gold rhinestone crystal clasp hard clutch with chain and mirror. 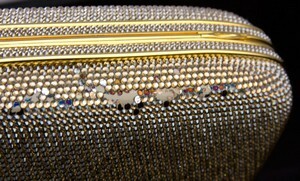 Good condition with missing stones and signs of wear (see photos). 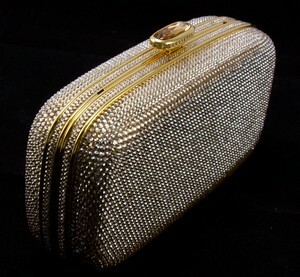 100% Judith Leiber authentic guaranteed!